Kevin F. Adams, 60 passed away peacefully on Tuesday, August 7, 2018 surrounded by his loving family at the Center for Hope in Scotch Plains. Kevin was born in Jersey City on May 8, 1958 and attended St. Thomas Aquinas High School in Edison, NJ before joining the U.S. Army. After the Army Kevin became a Carpenter for Local #1006 out of Milltown, NJ. As a resident of Barnegat, NJ, he enjoyed riding motorcycles with his son Kyle and watching his daughter Britney compete at cheerleading competitions as a member of the Barnegat H.S. cheerleading squad. Kevin was a member of the Manahawkin Moose Lodge #1575 and Manahawkin Elks Lodge #2340 where he enjoyed being a part of both Motorcycle Clubs. 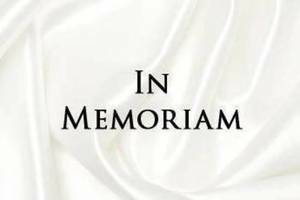 He was a former member of the Silver Lancers Drum & Bugle Corps and recently joined The Emerald Society Pipe and Drum and The Friendly Sons of the Shillelagh of Ocean County. Kevin loved boating with great friends who stood by his side throughout his battle with cancer. He will be sadly missed by all. Kevin is pre-deceased by his Father Richard Adams, brother Richard Adams, Jr., lovely wife of 32 years Corrine DeAndrea Adams. He is survived by his two children Kyle and Britney; Mother Mary Nievelt Adams; Siblings Eileen Buccino & husband Bobby, Patty Willcox & husband Kevin, Michael Adams & wife Judy, Diane Deschaine, Sue Spiridigliozzi & husband John, Scott Adams & wife Theresa; 15 nieces and nephews and 13 great nieces and nephews. Friends and Family are welcome to gather at Dooley Colonial Funeral Home, 556 Westfield Avenue, Westfield, NJ on Sunday, August 12, 2018 from 2:00-5:00 p.m.
A Mass will be celebrated at St. Annes Church, 325 2nd Avenue, Garwood, NJ on Monday, August 13, 2018 at 10:00 a.m. In lieu of flowers donations can be made to Go Fund Me Site “Hope for Kevin Adams” https://www.gofundme.com/hope-for-kevin to assist his children, Kyle and Britney who now must carry on through life without both parents at such a young age.